Bloom's Taxonomy is a method created by Benjamin Bloom to categorize the levels of reasoning skills that students use for active learning. 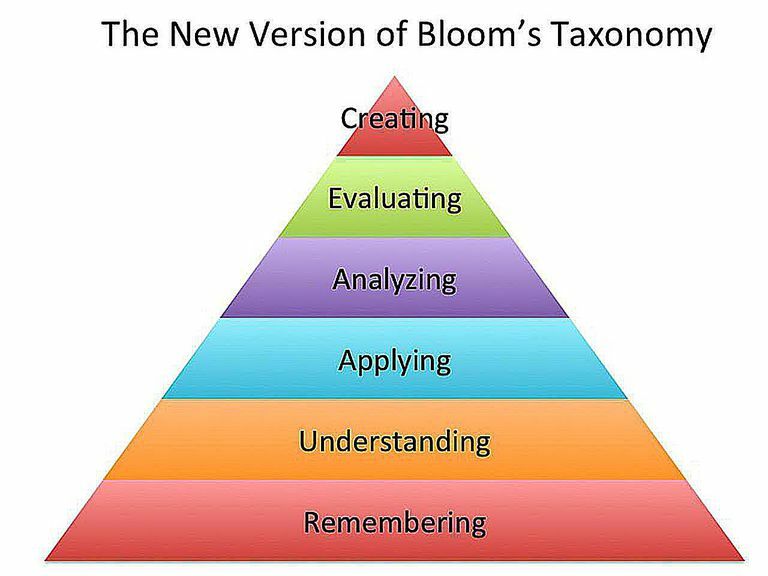 There are six levels of Bloom's Taxonomy: knowledge, comprehension, application, analysis, synthesis, and evaluation. Many teachers write their assessments in the lowest two levels of the taxonomy. However, this will often not show whether the students have truly integrated the new knowledge. One interesting method that can be used to make sure that all six levels are used is to create an assessment based entirely on the levels of Bloom's Taxonomy. However, before doing this, it is essential that students are given background information and knowledge about the levels of the taxonomy. The first step in preparing students is to introduce them to Bloom's Taxonomy. After presenting the levels with examples of each to the students, teachers should have them practice the information. A fun way to do this is to have students create questions on an interesting topic in each level of the taxonomy. For example, they could write six questions based on a popular television show like "The Simpsons." Have the students do this as part of whole group discussions. Then have them provide sample answers as a way to help guide them to the types of answers you are seeking. 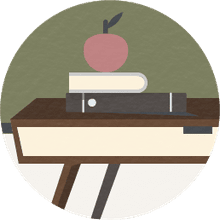 After presenting the information and practicing it, the teacher should then provide them with an opportunity to practice using the material being taught in class. For example, after teaching about magnetism, the teacher could go through six questions, one for each level, with the students. Together, the class can construct appropriate answers as a way to help students see what will be expected of them when they complete a Bloom's Taxonomy assessment on their own. The first step in creating the assessment is to be clear on what the students should have learned from the lesson being taught. Then pick a singular topic and ask questions based on each of the levels. Here is an example using the prohibition era as the topic for an American History class. Application Question: Could the methods that proponents of the temperance movement be used in a bid to create a Smoking Prohibition Amendment? Explain your answer. Analysis Question: Compare and contrast the motives of temperance leaders with those of doctors in the fight over prohibition. Synthesis Question: Create a poem or song that could have been used by temperance leaders to argue for the passage of the 18th Amendment. Evaluation Question: Evaluate prohibition in terms of its effects on the American economy. Students have to answer six different questions, one from each level of Bloom's Taxonomy. This spiraling of knowledge shows a greater depth of understanding on the student's part. When giving students an assessment like this, the more abstract questions should be awarded additional points. To fairly grade these questions, it is important that you create an effective rubric. Your rubric should allow students to earn partial points depending on how complete and accurate their questions are. One great way to make it more interesting for students is to give them some choice, especially in the upper-level questions. Give them two or three choices for each level so that they can choose the question that they feel most confident in answering correctly.